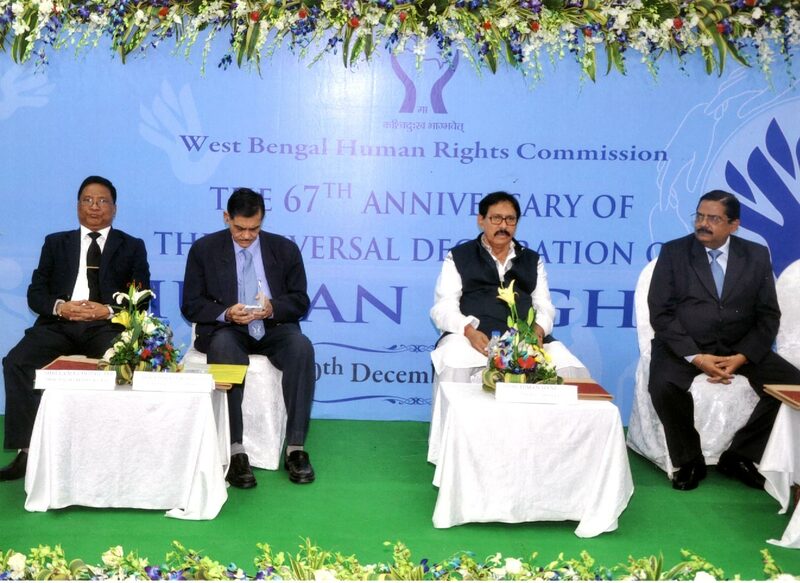 The West Bengal Human Rights Commission observed World Human Rights Day on 10th December, 2015 at 3 p.m. at the Town Hall, Kolkata to commemorate the 67th Anniversary of the Universal Declaration of Human Rights. Shri M. S. Dwivedy, Hon’ble Member, West Bengal Human Rights Commission welcomed the dignitaries and delivered the welcome address. Shri Naparajit Mukherjee, Hon’ble Acting Chairperson, West Bengal Human Rights Commission presided over the meeting and delivered the presidential address. Shri Biman Banerjee, Hon’ble Speaker of West Bengal Legislative Assembly was the Chief Guest and delivered the keynote address. West Bengal Human Rights Commission Journal, 2015 was released by the Hon’ble Speaker. The programme started with the inaugural song by the members of the Blind Association. The audience comprised of Senior IPS Officers, students of West Bengal NUJS, students of Calcutta (Hazra) Law College and trainee officers of Police Training Institute among others. Shri Ishwara Bhatt, Vice Chancellor, NUJS also attended the programme. Some beneficiaries who have been benefited by the action of the Commission narrated their experience during the programme. Mementoes were presented by the Hon’ble Speaker to the contributors of the articles in the West Bengal Human Rights Commission Journal. The programme ended with a vote of thanks by Shri Laima Chozah, Principal Secretary and CEO, West Bengal Human Rights Commission. 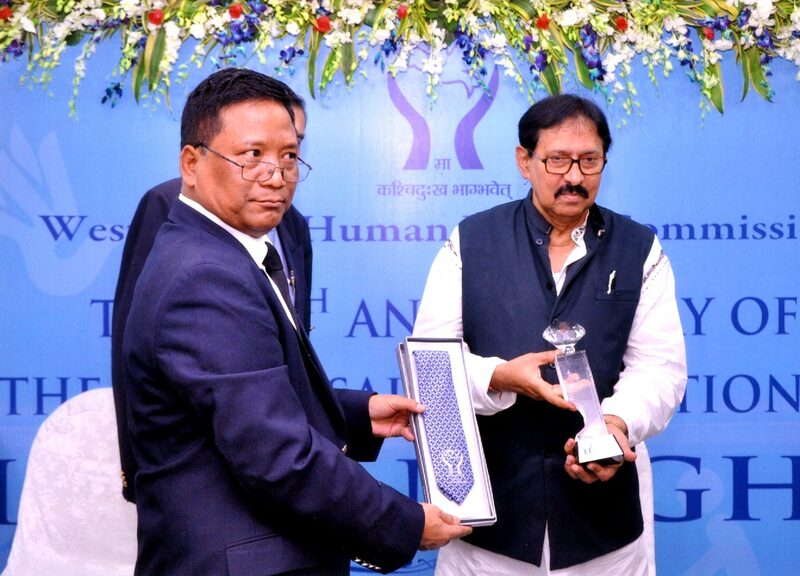 Presentation of a memento to Shri Biman Banerjee, Hon'ble Speaker, Govt. of West Bengal Legislative Assembly by Shri Laima Chozah, Principal Secretary & CEO of this Commission. The Dignitories on the dias starting from left Shri Laima Chozah, Principal Secretary & CEO, Shri Naparaijt Mukherjee, Hon'ble Acting Chairperson, Shri Biman Banerjee, Hon'ble Speaker, Govt. of West Bengal Legislative Assembly, Shri Mani Shankar Dwivedy, Hon'ble Member of this Commission. 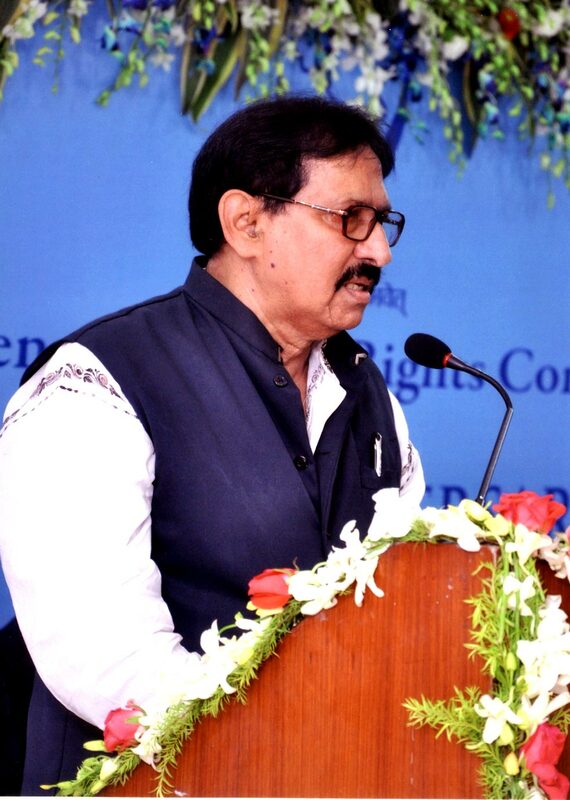 Shri Biman Banerjee, Hon'ble Speaker, Govt. of West Bengal Legislative Assembly is delivering his address on this occassion.